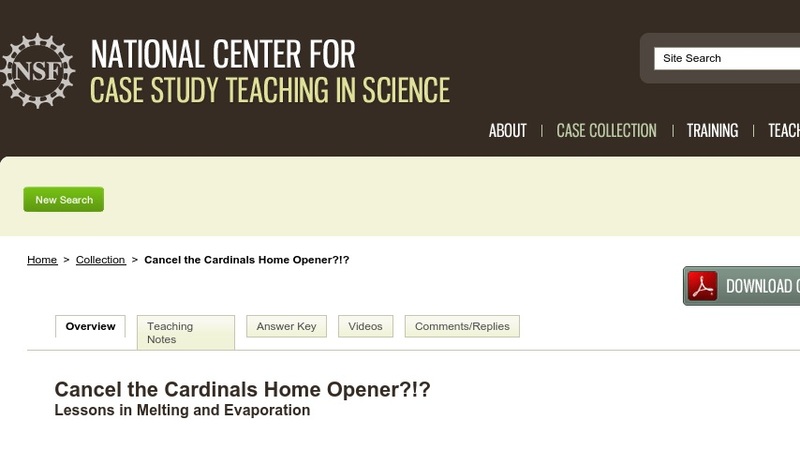 The St. Louis Cardinals are scheduled to play their home opener the next day and Megan Riley, a young meteorologist who works for a private weather consulting firm, is responsible for developing the weather forecast. It’s starting to look like she may need to change her current forecast for rain to snow. Students work in small groups to analyze information presented in each part of this multi-part dilemma case and, along the way, are asked to update their forecast: keep it as rain, or revise it to snow. The case has been used both in an introductory meteorology course and in a capstone course for seniors in atmospheric science.